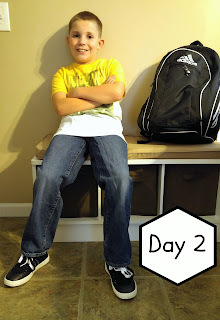 It is hard to believe that is already time to shop for school. This year I have a middle schooler. 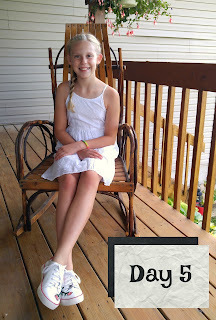 It is crazy as I remember her first day of kindergarten. 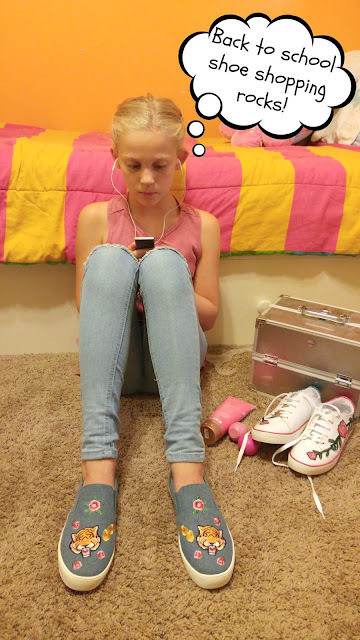 Over the years our daughter has grown into quiet the fashionista, so her back to school fashion has to be on point and the shoes must be as equally cute! This year we turned to KidShoes.com to score her some super cute and stylish shoes for her to walk the halls in.As you may already know KidShoes.com is #1 place to shop for KidsShoes! They are your destination for the best in children’s footwear offering a variety of designer brands you know and love. 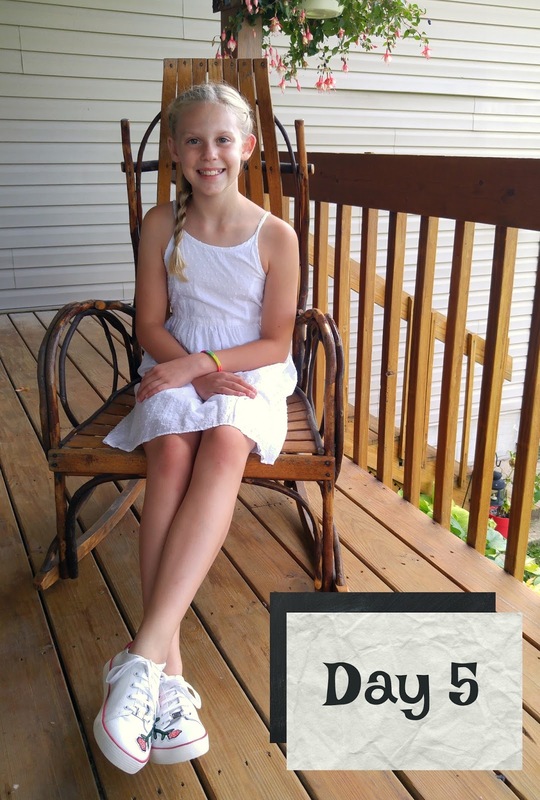 They are the only retailer that has exclusive styles in all of the brands you see on their website. They also add new styles monthly! 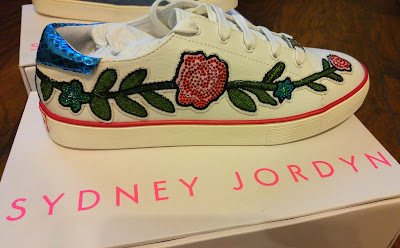 First up for my daughter was Sydney Jordyn Floral Applique sneakers! These sneakers are statement sneakers and a back to school essential for every girl's closet! 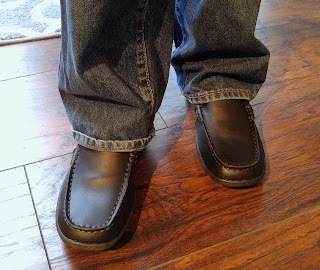 Faux Leather Multi Embroidery Rhinestones and Padded footbed for extra comfort. KS EXCLUSIVE. Sydney Jordyn is such a fashionable brand that if you have multiple daughters, you can score some big sister and little sister matching shoes. 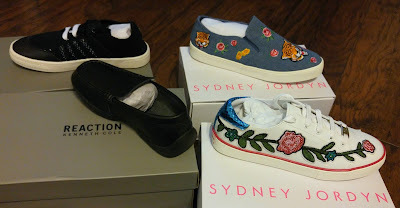 The Sydney Jordyn Floral Applique sneakers come in toddler to youth sizes! One shoe, so many options! 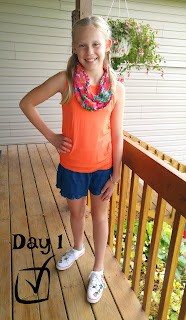 You can fashion an entire week around these shoes for back to school! 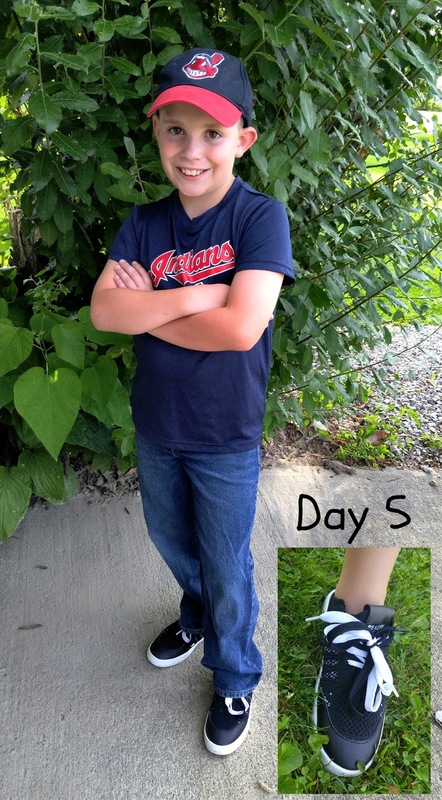 Just look how this shoe can be dressed up or down depending on the outfit! 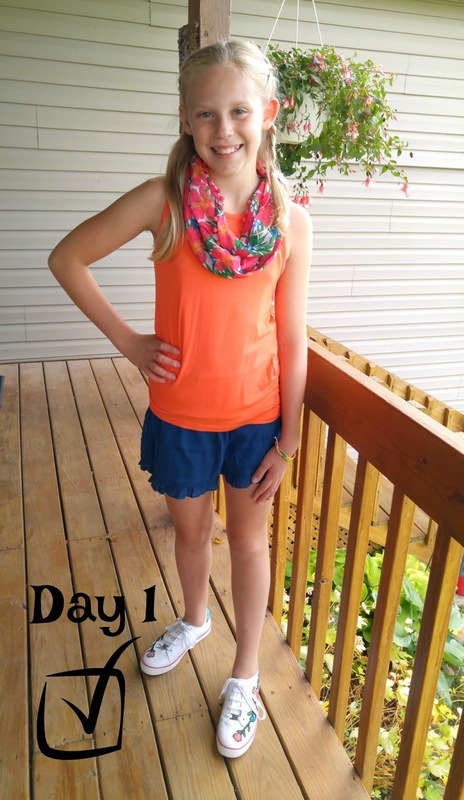 This little fashionista was able to conquer five ways to style outfits for the first week of school with one shoe challenge. 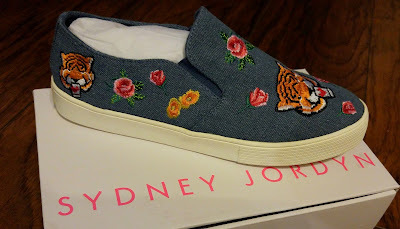 We also picked out the Sydney Jordyn Rosa Gore slip on sneaker for her. 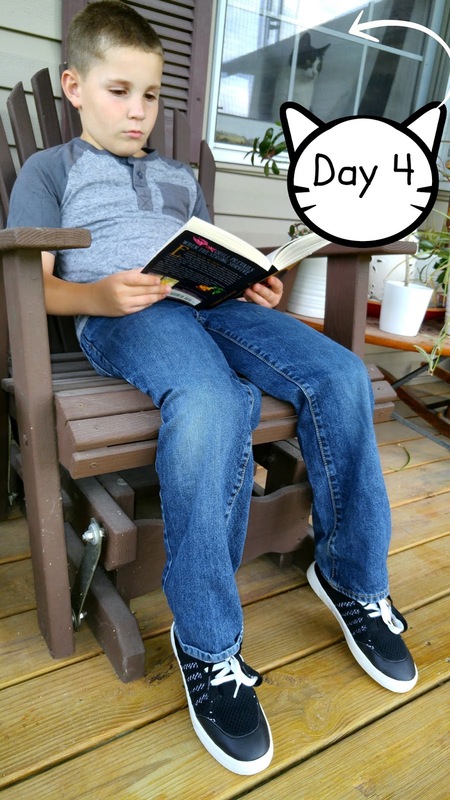 This is the one featured in the first photo of the post and above! 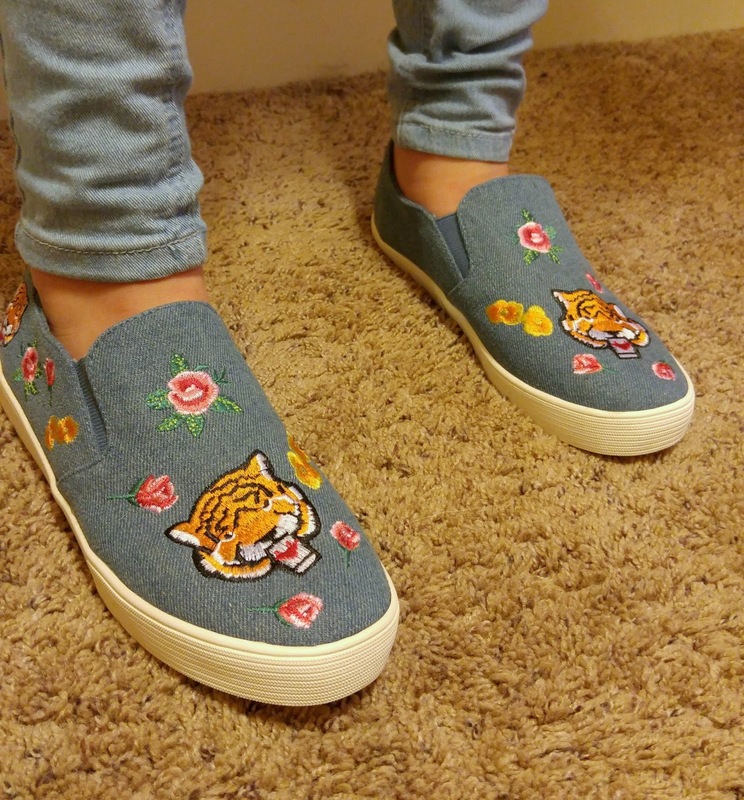 This traditional slip-on sneaker features a floral and tiger patterned embroidery over a denim canvas. 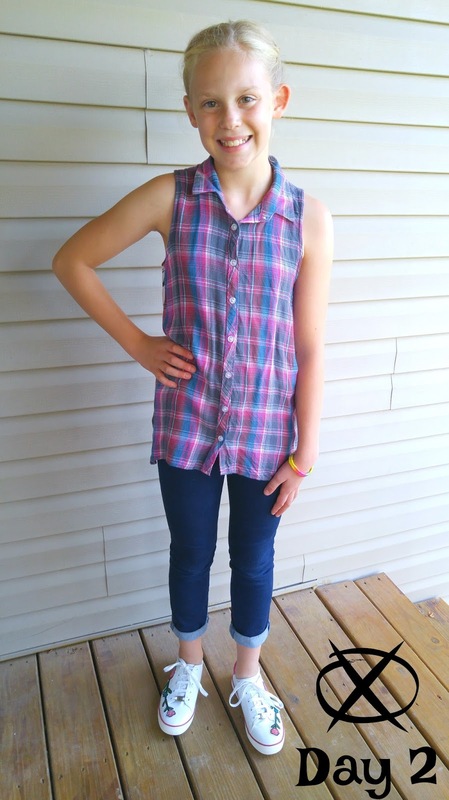 It pairs nicely with skirts, skinny jeans, capris, etc. Another versatile and stylish sneaker that is a must have for the closet this year! 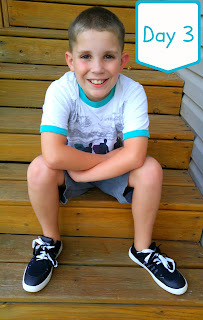 Not only does KidShoes.com feature some amazing girl shoes, but also some super stylish boy shoes! It is your one stop shop for boys and girls shoes. Our son will be a fifth grader this year and while he is not into fashion like his sister, he still likes to dress nice! 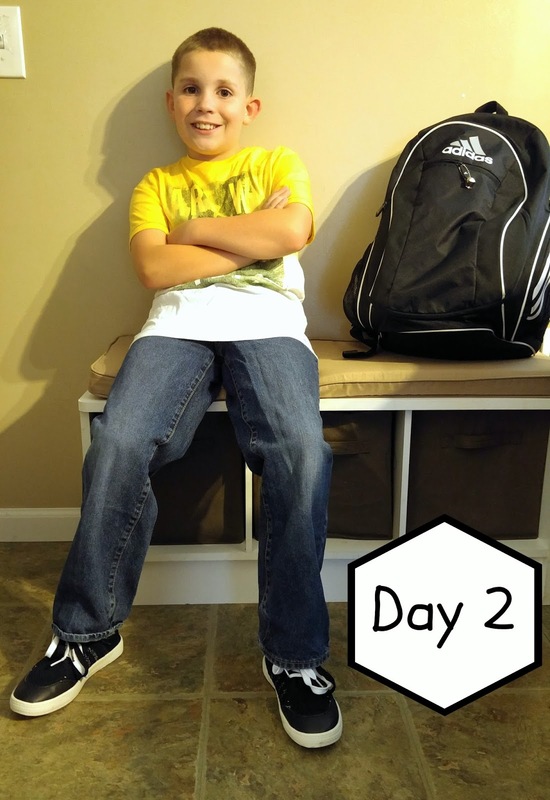 I also challenged him to pick a pair of shoes and see if he could fashion a week's worth of back to school outfits round that pair! He succeed as well! 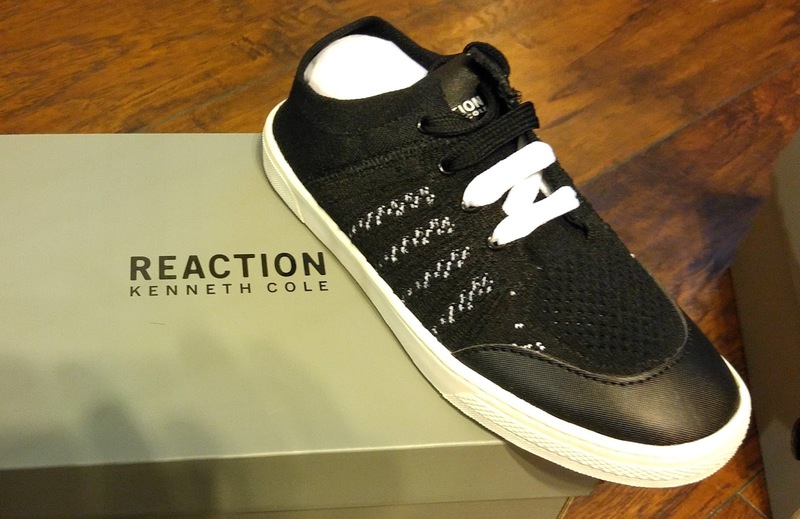 He chose to use the Kenneth Cole Reaction Kick Insight. Take a back seat to style as your little one rocks these glamed out lace-up sneakers. Comfortable and stylish make this a season must-have. 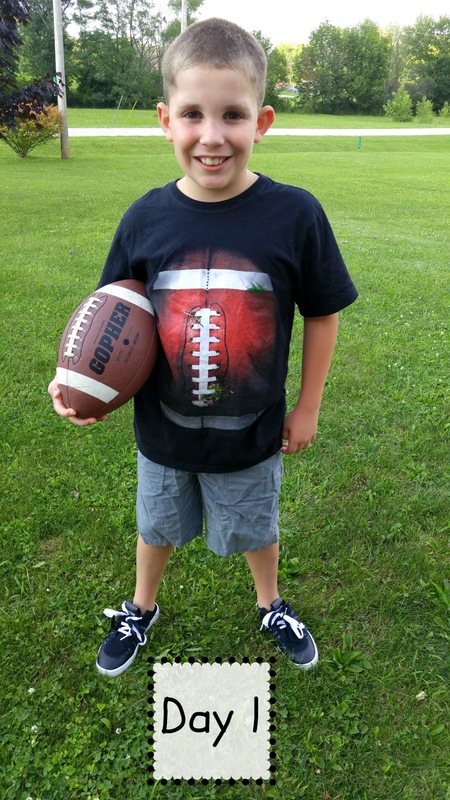 Plus at a low price of $19.99, you will want to pick up a pair of these for your son! 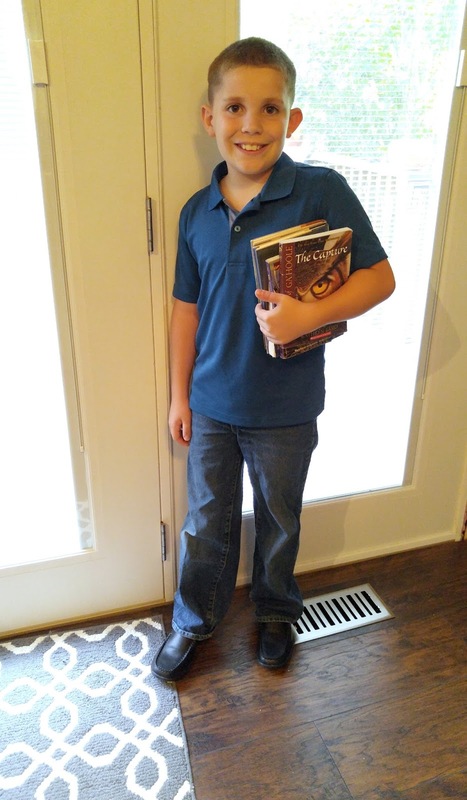 My son said these shoes were so comfortable and he can not wait to wear them to school. Since his feet are not growing super fast, we also picked up a pair of dress shoes for him. The Kenneth Cole Reaction Driving Dime will have him covered for any school event that he needs to dress up for and then for church on the weekends! These timeless driving mocs come in four colors. They feature a leather upper for that classic moc look. 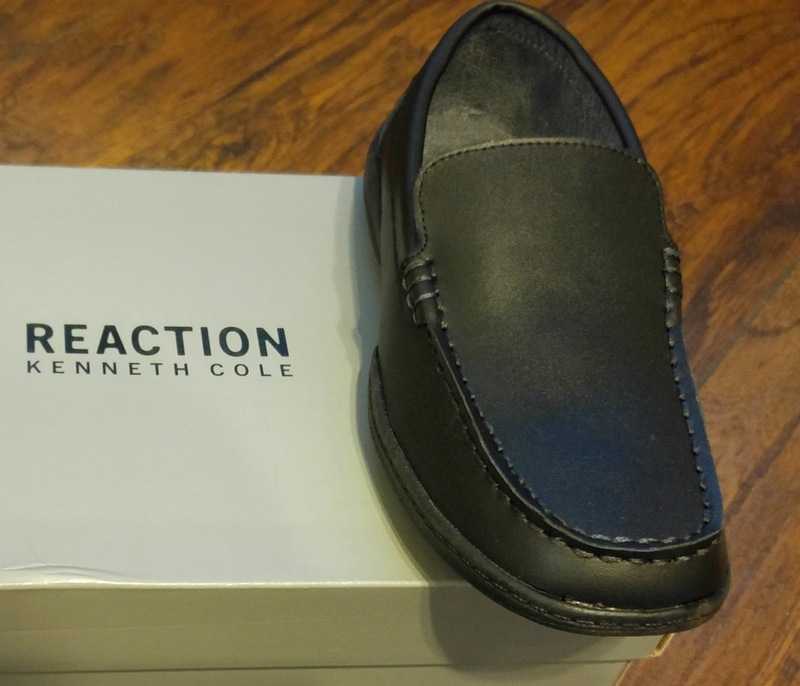 Soft lining and cushioned footbed for added comfort. Great for school Sunday brunch or a city stroll. 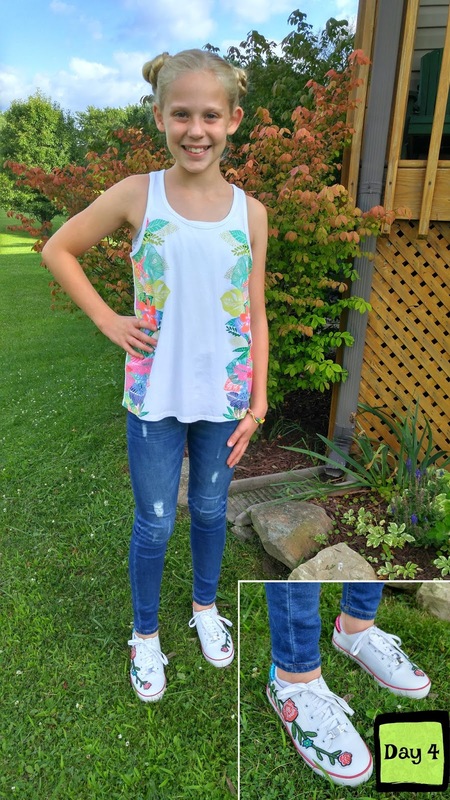 They are the only retailer to get styles in these brands made exclusively for them in all of the brands that they carry, with new styles added monthly in the latest trends in footwear. So when you are back to school shopping for shoes look to KidShoes for all your footwear needs!